Brexit day is fast approaching, with the UK in theory poised to leave the European Union on the 29th of March this year, even though we still don’t really have a clue about the manner of our departure. With ‘no deal’ perhaps looking most likely at the moment, you may be preparing for the worst by stockpiling food, or perhaps celebrating independence in a clean break from the EU. Premier League clubs – for or against? As noted here by Goal, every single Premier League club was in favour of remaining in the EU in the 2016 referendum. This perhaps shouldn’t be too surprising given the international reach of the competition, with the country’s ability to trade freely with the rest of Europe clearly important. And of course, if freedom of movement ends on the 29th of March, it could seriously inhibit clubs’ abilities to sign top players from the likes of La Liga, Ligue 1, Serie A and the Bundesliga. Crystal Palace chief Steve Parish, however, doesn’t think that’s necessarily going to be a negative for English clubs. ‘At the moment I can’t go to South America and buy anything other than a full international, in one of the top 50 sides. I have to pay a certain amount of money — £10m-plus — and they have to be on certain wages in order to get a work permit,’ he told i News. Most businesses were also against Brexit, so one has to factor in the fact that Premier League clubs will now surely have less money. 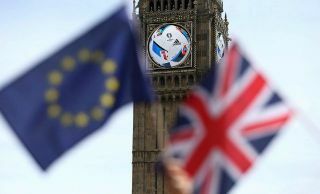 Particularly in the event of a no-deal Brexit, the economy is sure to take a pretty serious hit, which will affect clubs and fans, perhaps weakening English sides in comparison to their Champions League rivals. Burnley chairman Mike Garlick recently told the BBC that Brexit ‘threatens to make the widening inequality gap in our top division even worse’. If the Premier League no longer boasts the best players, and therefore the best entertainment, it will certainly lose buyers on the global stage as it will simply be a less marketable product. Immigration, and ending freedom of movement laws was known to be a major driving factor towards people voting to leave the EU nearly three years ago. Brexit has seen a well-documented rise in hate crime against migrants in the UK, with the Guardian reporting this is expected to get even worse once we actually leave. Let’s be honest, if you’re a top class European footballer now, would you feel particularly welcome in a country that just voted en masse to ‘take back control’ of their borders? One hopes the very best players from everywhere in the world will still want to move here and grace our shores as so many international greats have down the years, but this is the risk we run going ahead with what many feel is a slightly xenophobia-driven project. Another blow regarding Brexit could be that British players currently flourishing abroad may become a thing of the past. Gareth Bale has been a big name for Real Madrid, winning four Champions League titles since leaving Tottenham for Spain back in 2013. Elsewhere, English youngsters like Jadon Sancho and Reiss Nelson are making names for themselves in the Bundesliga, while Emile Smith Rowe has also just joined them there this January. Of course, the flip-side is that academy talent might now see more hope of a first-team chance in the Premier League if a move abroad becomes blocked. Still, as many Brexit-voting Brits living abroad are now realising, ending freedom of movement for everyone else also means ending freedom of movement for us. Footballers, like anyone else, may quite fancy the visa-free travel around the EU that opens up so many opportunities to travel and experience different cultures and take up different opportunities. Will Brexit be good for the Premier League?